We have a couple of cultivators producing Blueberry headband in Illinois, and I know it's a popular strain in Colorado as well. There are a few renditions of Blueberry Headband, crossing different strains to produce it. This particular cut comes from a straight cross of Blueberry and 707 Headband. The leaves look like they got a little burned to be honest. Normally GTI steps it up a bit higher on the looks of their flowers. Aside from the burnt leaves the buds do look really solid. The tricombs are very healthy looking and have great coverage. 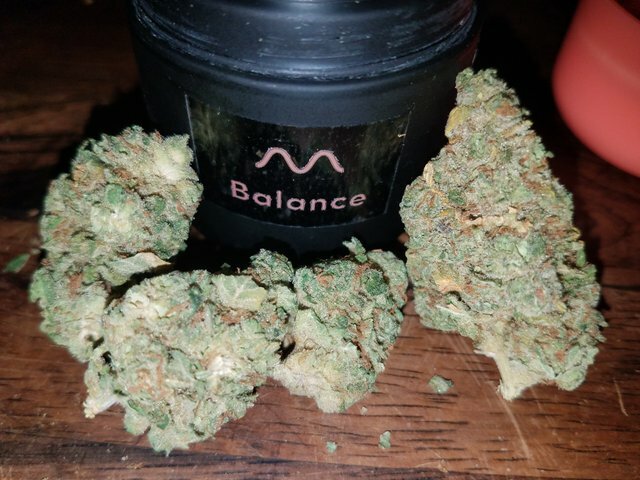 The buds are a light bright green, and the nugs are dense. Typically you get a fluffier bud from Blueberry Headband, but these are some denser nugs. The smell is fantastic. The blueberry is very apparent at first wiff. The diesels from the headband are more subtle. There's a certain smell that's very common in Sativas that I believe originates from Durban Poison that is present in this strain. The flavor is my favorite thing about this strain. It tastes really great. The fruity blueberry flavor carries a lot more body with the earthy diesely tones of the headband. The effects are mostly cerebral, with a slight body buzz / relaxation effect. 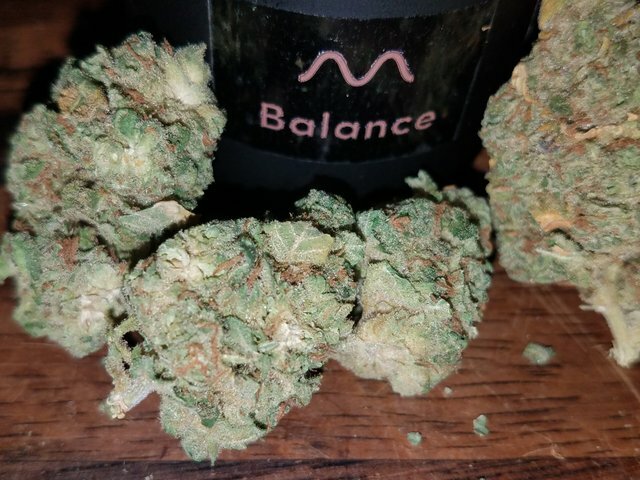 This strain doesn't hit me particularly hard, I consider it a lighter smoke. I don't think it's a particularly harsh sativa, many look at it as a hybrid or a sativa dominant hybrid. I can easily blaze a ton of this strain because of the flavor and lack of potency. Sativas typically aren't my thing, but from time to time, I gotta pick one up for the flavor of it. Sativa's tend to have a totally different set of flavors than Indica strains and it's fun to experience them from time to time. Sativas tend not to medicate me as well however, so I don't get them as often. Headband had always been a personal favorite. Prob because it's always around and always good. On top of that blueberries are probably my favorite fruit!